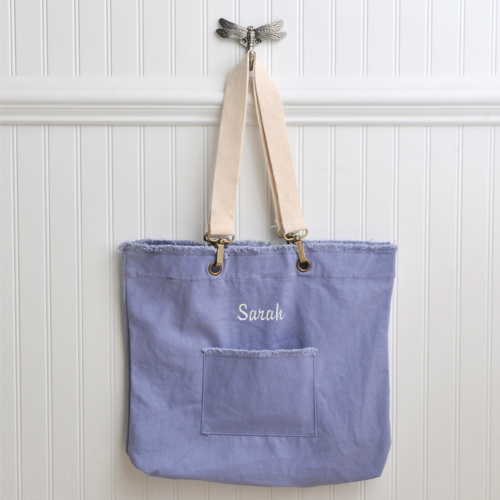 * Tuck all your necessities in this attractive, personalized, washed cotton tote. 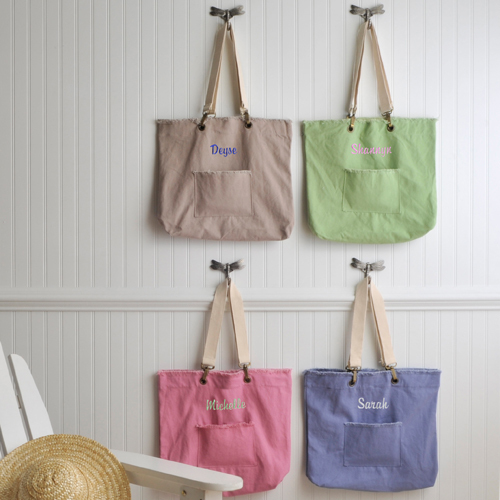 * As comfortable as your favorite jeans, the tote is available in perky pastels with handsome brass hardward and accents. * A comfortable double strap makes it easy to carry on your shoulder and the outside pocket is ideal for storing your cell phone or keys. * Take it to the gym, beach, or park or use it as a purse. * Measures 17" x 14" x 3". * Select Khaki, Green Tea, Cotton Candy or Slate bag. 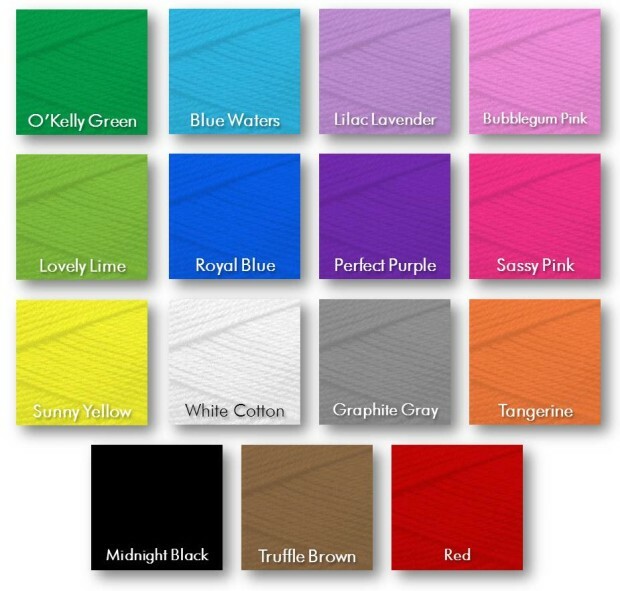 * Embroider up to 8 characters in one of our 15 signature thread colors.